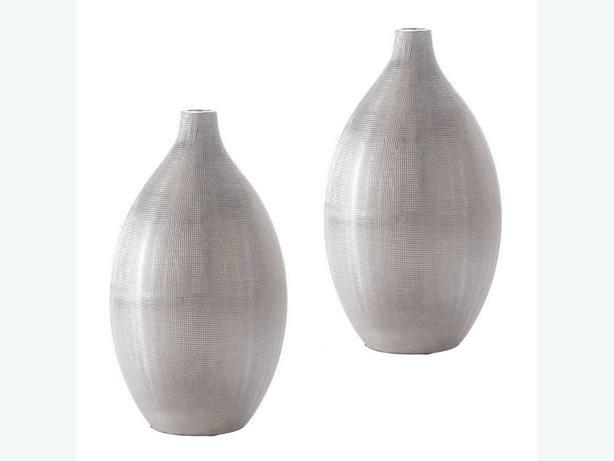 This modern, sophisticated, silver vase is a classic that will add style to your room for years to come. Its unique textured finish & beautiful shape add a touch of elegance to any decor & showcase your favorite living space...empty, or filled with a blooming branch, or an artificial bouquet, makes it an easy way to crank-up the style-factor of any mantle, shelf or tabletop! Price is for set of 2...6.25" x 6.25" x 11.2" tall & weigh 3 lbs. each!